Choose some of the following games for a survivor race. 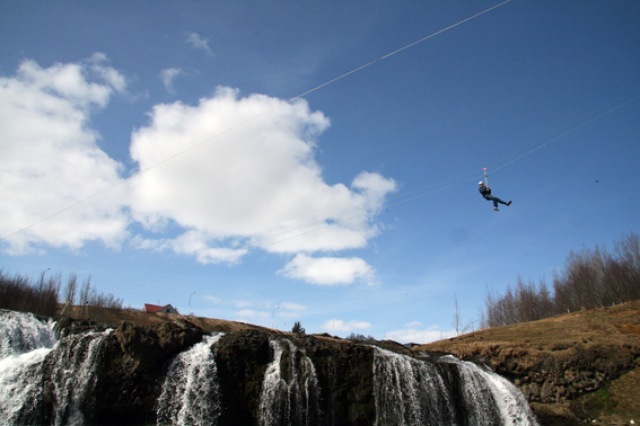 The teams follow a preset course in any location in Iceland. At each station they find a game, activity or a logic trial awaits them. The game is played with points and the team with the most points wins the day. However the rewards are always something that everyone taking part (all the teams) appreciates, for example the winning team might win lots of beer to share or a nice dinner for everyone in a seafood restaurant on the South shore. The reward is up to the management of the company taking part in the race. Participants run one at a time ca. 20 meters and pick up a random letter or a word. They then run back and pile them up. When all the letters/word are at the starting point the first team to assemble the right sentence wins the points. 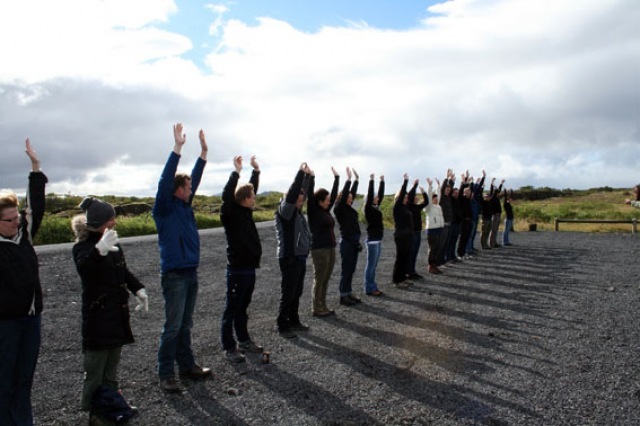 Traditionally the sentence being formed is one that a senior management belief has a meaning for the team, for example the companies guiding light or slogan etc. 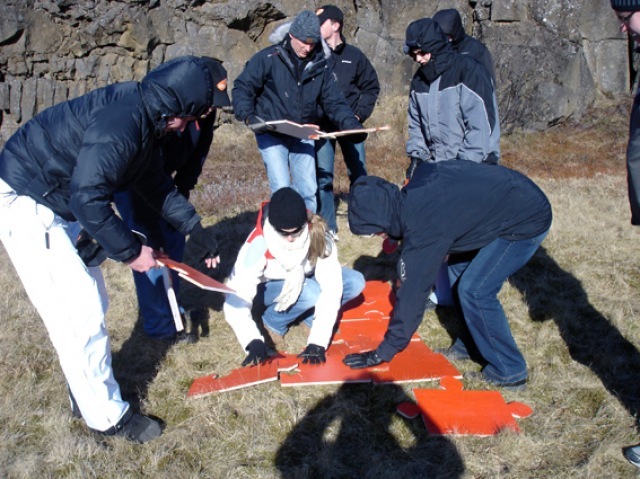 Participants find giant puzzles. When all the puzzles are found the teams compete assembling the complete puzzle. 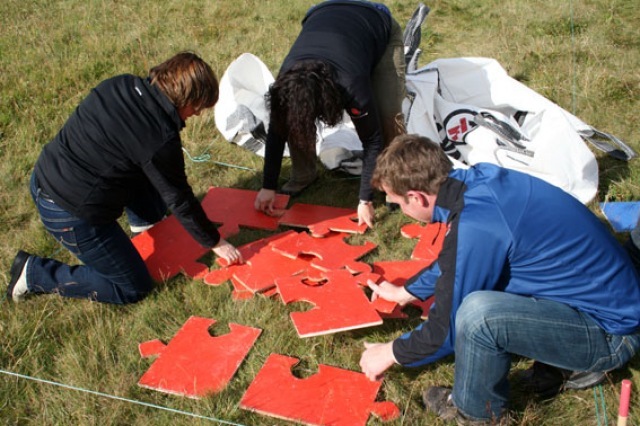 Each assembled puzzle is around 3 m2 or in other words, very big! Each team is timed and the fastest team wins the points. 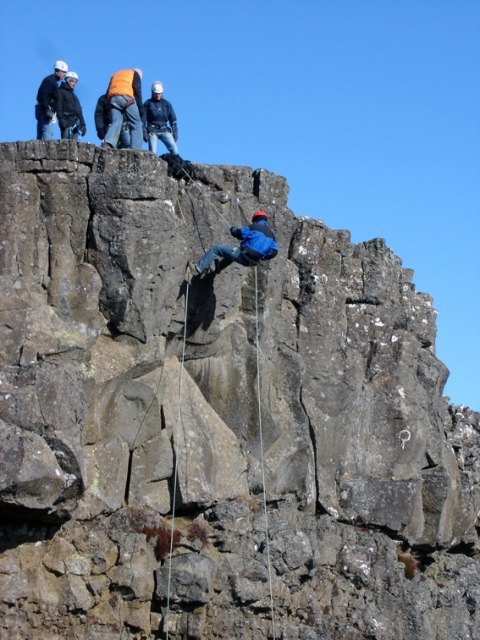 The team abseils one after the other down a 10-14 meters high canyon wall. When the complete team is down at the bottom they have to work together and get each other through a series of artificial spiders webbing. Each team is timed and the fastest team wins the points. Equal to two trials. 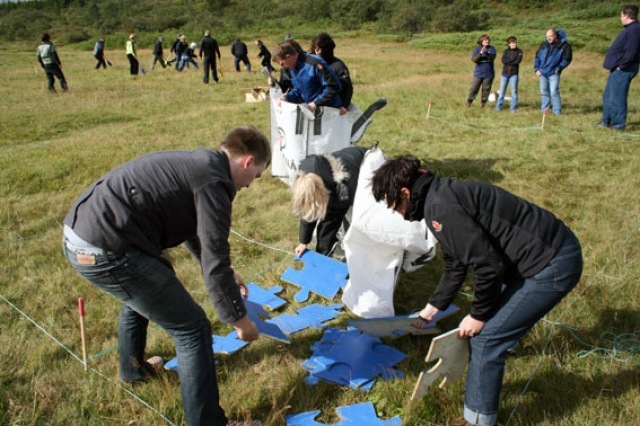 Each team is split up into smaller units and put into a giant bag. They then race against other teams, jumping in harmony a distance of ca. 40 meters. There others from the team take over for a further 40 meters. The first team to have all team members jump the necessary distance wins the points. Each team is split up into smaller units and they then compete against each other. The clubs are different from normal ones in that they are padded so there is no risk of injury. Each team is split up into smaller units to compete in the world famous Velcro ball game. Every one dresses in special pants and jacket that have Velcro on the buttocks and chest. The ball it self is covered with Velcro so it locks on to the pants or jacket. It is forbidden to touch the ball with any other body part than the buttocks or chest. Goals are scored by fastening the ball to a goal covered with Velcro. One by one the participants fly 100 meters from one canyon wall to the other. Passing a waterfall and a river on the way. 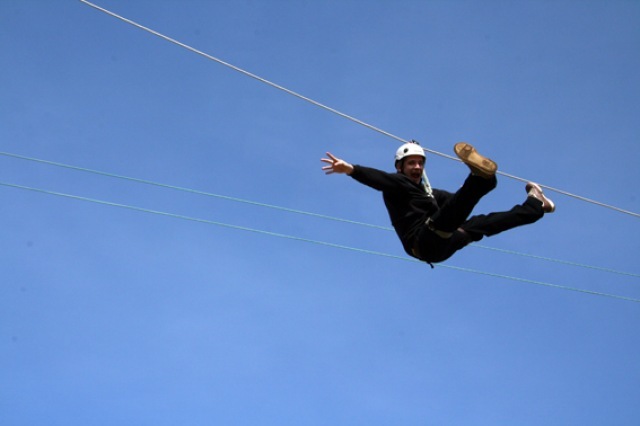 The flying is accomplished by connecting each person via climbing harness to a steel wire that runs the distance. After the flying the teams compete in various games on the riverbank, chosen from the selection presented here. - Not the fighting kind…! Here the teams race to build their own highway to the finish line with timber planks and beer boxes. 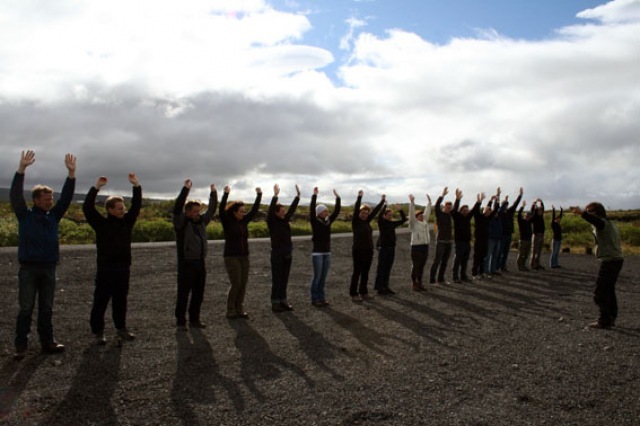 It works like this: Each team starts standing on a timber plank that rests on two beer cases. The team holds in their hands one more timber plank. In front of them are spread out many more beer cases and the team has to lay their plank down the right way to find the road to finish. Fastest team wins the points. 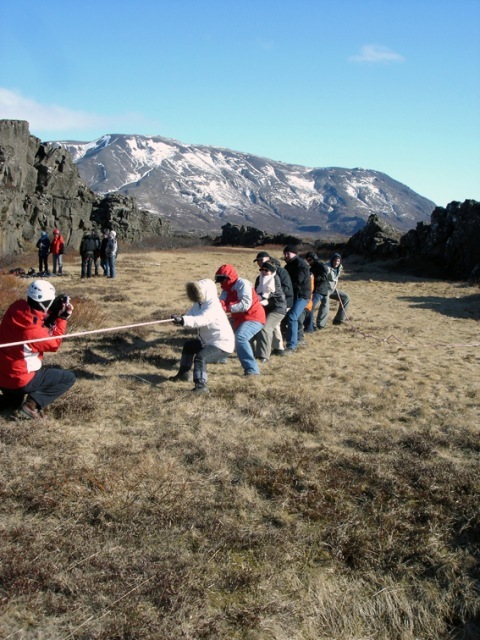 Here we pit the strengths of each team together in a classic rope tow. With separate teams on each end of a 30 meter long rope, each one pulls with all their might to bring the competitors over to their side. Each team composes a poem in 5 minutes. In the end of the day (i.e. when having dinner) someone from each team reads the poem for the group. The entire group then chooses the best poem with a hand count. Best poem wins the points. 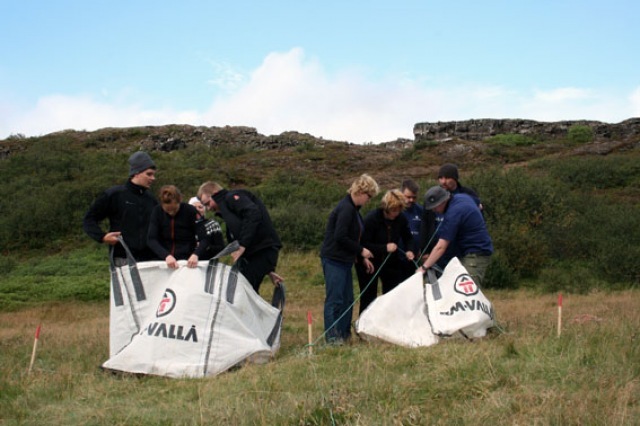 Each team receives an assortment of logs, barrels, nets, ropes and more. The challenge is to build a raft and sail it a certain distance. The first team across the finish line wins. 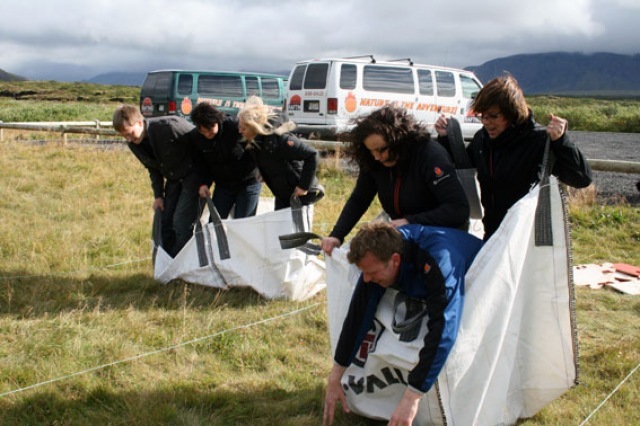 This event has everything a good teambuilding experience should be… Fun, teamwork and action. Trip difficulty: Everyone can have fun on this trip. 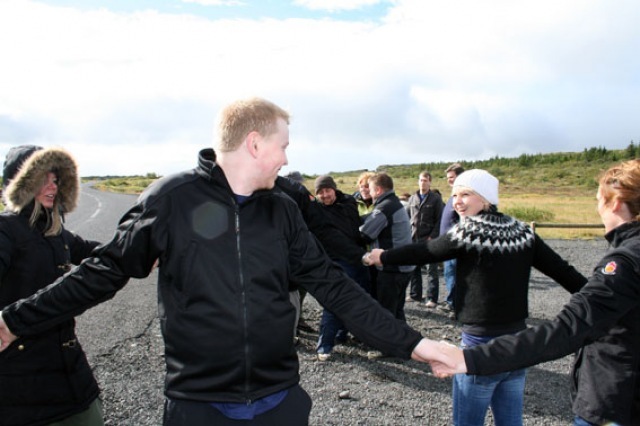 The trip starts with an Amazing race through the lovely small town of Hveragerði. The town is filled with hot springs and geysers, the energy and warmth of which are harnessed to grow bananas and tomatoes… Definitely an interesting place to visit. 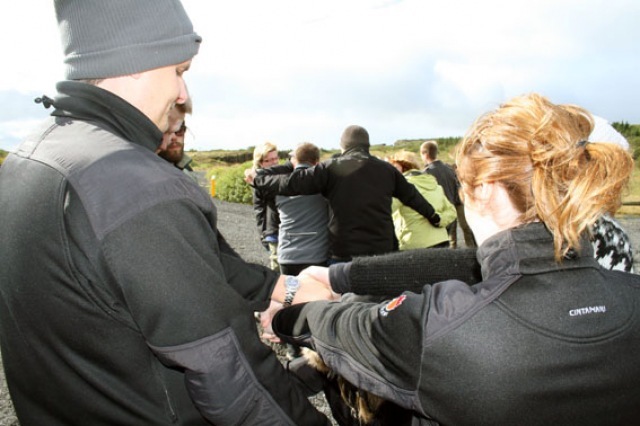 The participants rush across the town solving clues and overcoming trials, the groups competing against each other in a race where only team spirit and cooperation can win the day. 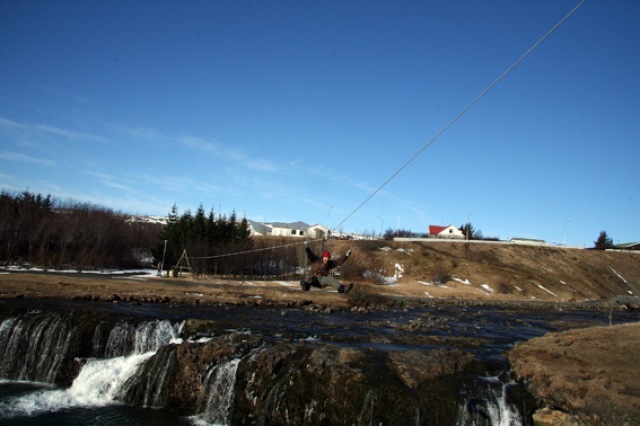 After the race everyone flies over the Varmá River in the exciting flying fox steel wire slide. 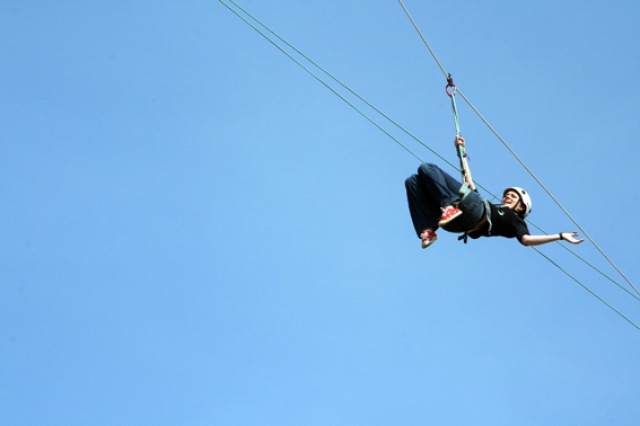 Landing on the riverbank 100 meters away we continue with incentive games in the beautiful park on the other side. The day program ends in the local swimming pool and spa as the group relaxes and discuses the adventures of the day. Ideally the day ends with a great seafood meal in some of the cozy restaurants on the north Atlantic beach only 20 min away, but it is not included in the price. Available: April to October. Minimum: 20 pax. Maximum: 100 pax. Bring with you: Outdoor clothing, a warm sweater, swimming wear and a towel. No knowledge of the sport required. Seafood dinner at Hafið Bláa / Rauða Húsið / Við Fjöruborðið.